There are few things as easy and delicious as this zucchini magic trick. Slice, sprinkle, bake et voila, deliciousness. 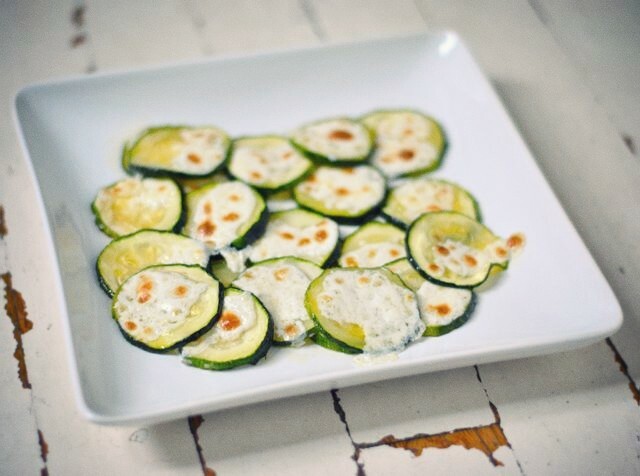 The zucchini become soft and buttery, the garlic salt gives depth of flavor, and the cheese bubbles in to a golden brown crust. 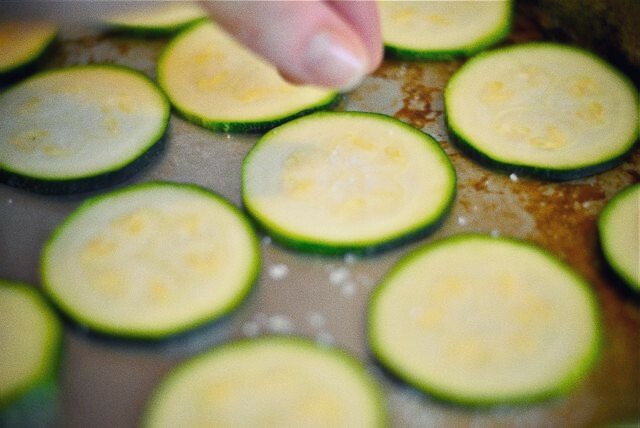 Slice your zucchini up into 1/2 inch rings. 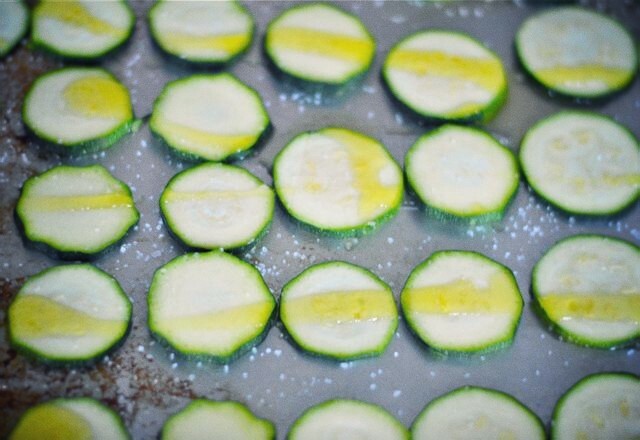 Lay them out flat on a large cookie sheet. Sprinkle with garlic salt and a bit of salt. Bake in the oven at 350 for about 10-15 minutes or until crisp tender. 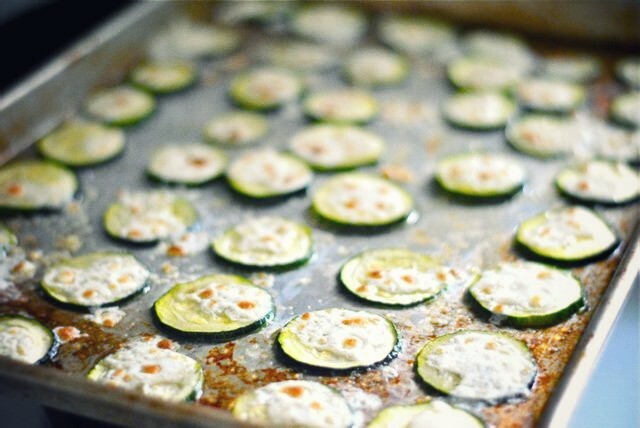 Take the pan out of the oven and sprinkle the zucchini with cheese. 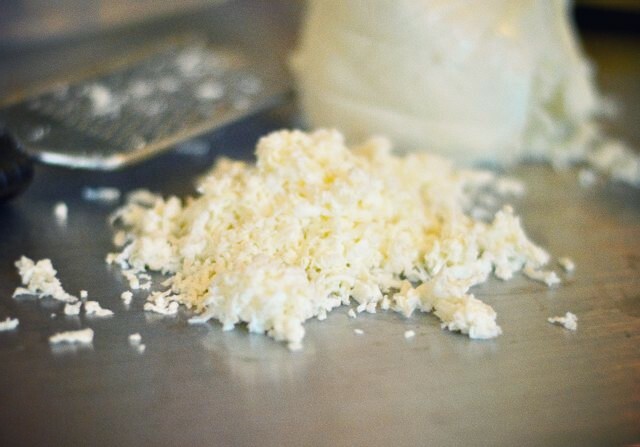 Turn the oven to broil and let the cheese get all bubbly and a bit browned. This should only take about 3-5 minutes. Enjoy right out of the oven. You and 51 other bloggers like this post. This entry was posted in Cooking and tagged Baked zucchini and mozzarella. Bookmark the permalink. We still need to try this. You can’t go wrong with pasta, cheese, and bacon… and spinach is good for you. Bring a large pot of water to a boil over medium heat and salt generously. Put the bacon in a large high-sided skillet and cook over medium-high heat until crisp, about 10 minutes. Remove from the heat and reserve bacon in the pan. When the bacon is about halfway cooked, drop the pasta into the boiling water and cook about 4 minutes for fresh or according to the package instructions if using dried. Meanwhile, whisk the egg and yolks, 1 cup cheese and pepper together in a small bowl. When the pasta is ready, return the skillet with the bacon to medium heat. Using a ladle, slowly whisk about 1/2 cup pasta cooking water into the egg and cheese mixture until loosened. Reserve some additional cooking water. Drain the pasta and add it to the skillet. While tossing continually, slowly drizzle the egg mixture over the pasta until it is completely coated. Add more cooking water if pasta seems dry. Add the spinach leaves to the pan and toss until combined. Transfer the carbonara to a serving bowl and serve immediately with more cheese sprinkled over the top. Cook’s Note: The key to perfect carbonara is working while everything is piping hot; this assures the egg will cook and produce a silky, creamy sauce that sticks to the pasta.